As a former Bellingham City Councilmen, I’d like to thank the City of Bellingham and former Mayor Tim Douglas for including me as an observer on the City’s labor bargaining team several years ago. I’m grateful because much of what I know about employee benefits, I learned during that experience. Now with 43 years of self-employed experience, a hundred or more employees during that time and legislative experience, I bring a unique perspective to highlight various issues underlying Mandatory Sick Pay for all employers within city limits. Let’s consider the context in which we find ourselves considering such legislation. In 2008, our business had revised its Employee Handbook, refined its employee job classifications and we had agreed that the next issue that we would tackle would be sick pay. Everything changed in the fall of 2008 with the rude arrival of the Great Recession. We had to shelve that goal and like the rest of the nation, focus on survival. If it were not for our personal cash injection, our Landlord’s accommodations and our employees foregoing wage increases, our business would not have survived that near meltdown of our economy. There are three points to take from this reflection: 1) It takes teamwork to accomplish anything big. 2) It’s the slow and uneven recovery from the Great Recession that drives these employee issues: low wages and benefits, high cost and low availability of housing and the growing disparity of income levels. 3) Employees as well as many citizens are frustrated with state and federal governments inability to address contemporary issues. Employees at the lower end of the pay scales, may have unmet health care needs and likely pay more than 30% of their income for housing. They believe they should be able to participate in whatever recovery others enjoy. Unfortunately, a variety of global and domestic issues have coalesced to preclude improvement for many. Regulating all employers within city limits on compliance with minimums for employee benefits has landed on your agenda by default. Your counterparts in Washington DC and Olympia, with large established departments charged with this mission, are woefully behind contemporary needs due to lack of legislative direction. Those government branches collect data on labor markets throughout their respective jurisdictions, which helps set benefits for job descriptions in distinctly different markets. By contrast the proposed ordinance is derived from ordinances written for other jurisdictions, a customary practice that usually works well. Bellingham is not Seattle, which had to hire a new Director and staff for this purpose. Bellingham, like most cities’ Human Resource and Legal Departments have not been charged with such a mission and therefore, have neither the time, the staff nor the experience to deal with this new frontier. Consequently, the proposed ordinance should contain language addressed to the state and federal governments that urges them to undertake these pressing employee issues. In addition the Mandatory Sick Pay Ordinance should be rescinded, if the state passes comparable legislation. A word about a minimum wage requirement, which informs this discussion. The argument against raising the minimum wage is that it will cost jobs. The logical extension of that rationale is that more jobs will be created if there were no minimum wage. The problem is that without a minimum wage, employee exploitation flourishes. Even if it’s true that jobs will be lost, which is debatable, there’s some threshold, where setting a floor to prevent exploitation is worth suspected job losses. The federal minimum wage of $7.25/hr. is so low that it ignores 25 years of inflation and reflects the congress’ inability to legislate. In a more positive regard, having a set minimum wage is beneficial to some employers, who can use it to assist in setting their own wage scales. Our developed society has led us to expect a relatively safe and efficient way to get to work, to have a safe place to work and timely pay for work as well as extra pay for overtime worked. While employees may not expect a germ free work place, they ought not to expect to share a co-worker’s bugs. 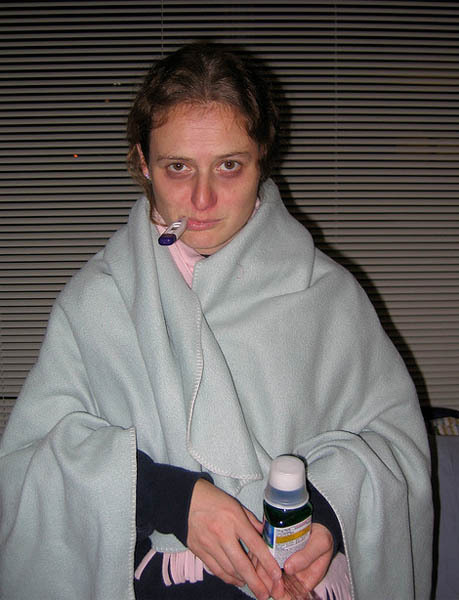 Sick people at work impacts productivity and morale. Employees, who most need the opportunity to stay home and recuperate, are the ones, who can least afford to do so because they are at the lowest 25th percentile of income. A sick pay benefit should be among minimum work place standards. Many, if not most employees, who have no sick pay benefit are employed by small closely held businesses such as ours. If you pass this ordinance, you’ll be taking all those employers in our city from 0 to 60 mph in very short amount of time. The proposed ordinance addresses and allows for businesses that provide “a combined or universal paid leave” (vacation pay), as long as those businesses comply with the minimum requirement for sick leave stated in the ordinance. However, the ordinance gives no direction for employees, who may wish to come to work sick to bank hours for a vacation. Of course, that indicates the ever-present legislative catch 22. Be too specific – legitimate exceptions are prohibited and unintended consequences occur. Be too general – too many interpretations occur. A chief administrator suggested to me that those businesses with universal paid leave should enforce a Don’t Come to Work Sick Policy. For both specifics and broader policy concerns, it would be wise for a third-party with professional qualifications to review this ordinance. In the spirit of team effort to accomplish something big and to improve the quality of your public process, I request that you ask the local Mt Baker Society of Human Resource Managers to review your ordinance and make a recommendation based on their findings. I support a similar sort of ordinance to what has been proposed. However, it is ironic and puzzling to me, why in a country that is so consumed with work, vacation pay is a much more established tradition than sick pay. In that regard, the United States is the only wealthy, developed nation that does not require employers to provide sick pay. Clearly, there is a need to do so, not just to promote healthier communities, but also to assist those who strive to improve their pursuits of life, liberty and happiness.